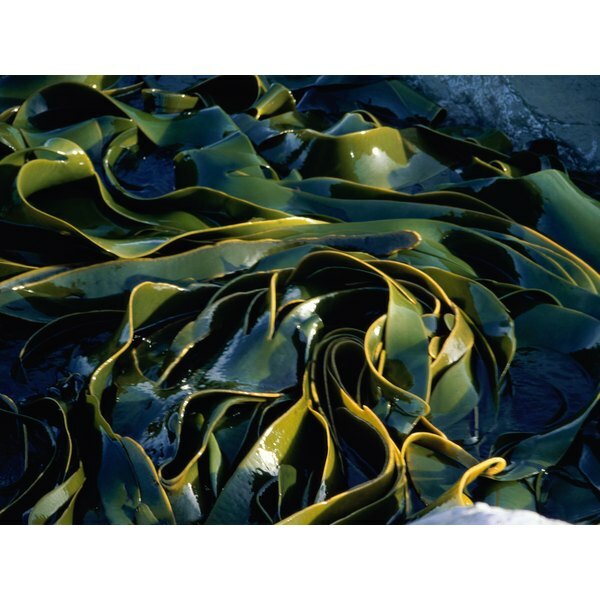 Kelp contains nutrients that help detoxify your body and nourish your skin. 2 How Does a Bath Bomb Work? 3 What Are the Benefits of Clay Body Wraps? Sea kelp is a type of seaweed or marine algae that is available in powder form. It may be brown, green or red, and is rich in various nutrients such as minerals and proteins. According to Peter Bennett, a naturopath and author of “The Purification Plan,” using seawater and sea plants therapeutically dates back to the time of the ancient Greeks. However, there is not a lot of scientific research about the benefits of sea kelp baths. Kelp contains acids that can bind to toxins in your body, explains Bennett, who adds that, combined with heat, kelp or seaweed penetrates your skin and draws out impurities. Natural health proponents maintain that high levels of toxins in the environment overwhelm various systems in the body, including metabolic processes and the immune system. According to Brenda Watson, author of “The Detox Strategy,” this effect is referred to as the “body burden.” She points out that high toxin levels in the body may lead to medical conditions such as allergies, fatigue and reproductive problems. Detoxification methods such as sea kelp powder baths help to remove toxins from your body and may improve overall health. By removing toxins from your body, a sea kelp bath may also increase your ability to lose weight. As Watson explains, toxins make your metabolism sluggish, reduce your ability to burn fat and inhibit your sense of fullness after eating. Also, in a study presented at the 13th International Symposium of the Institute for Functional Medicine, family physician Mark Hyman revealed that environmental toxins disrupt central weight-control systems, increase insulin resistance and inhibit thyroid function -- all of which can lead to weight gain and obesity. Like other types of seaweed, sea kelp is loaded with skin-nourishing nutrients, such as Omega-3 essential fatty acids and polyphenols. According to the University of Maryland Medical Center, vegetarian sources of the essential fatty acid, docosahexaenoic acid, or DHA, come from seaweed. In a study conducted by Ohio State University, researchers found that polyphenols in seaweed -- applied topically or taken orally -- significantly reduced the number of skin tumors in hairless mice by 60 percent. They also reduced the size of tumors by 43 percent. Seaweed ingredients are also featured in anti-aging and other skin-care products such as soap and masks, but you may also get some of their benefits from taking a sea kelp powder bath. What Are the Benefits of Kyo-Green?